Copyright: © 2015 McClafferty H, et al. This is an open-access article distributed under the terms of the Creative Commons Attribution License, which permits unrestricted use, distribution, and reproduction in any medium, provided the original author and source are credited. Health: An Integrative Approach was developed for healthcare practitioners. The objective of this study was to evaluate the feasibility and effectiveness of the course. Methods: This was a within subjects longitudinal study examining change in medical knowledge, beliefs and attitudes toward environmental health topics, attitude toward the importance of conducting an environmental health history, barriers to conducting an environmental health history and confidence in environmental health history assessment skills.. Participants included physicians, nurses, nurse practitioners and other healthcare providers. Measures were completed prior to the course, upon completion, and at a 30-day follow-up. A course evaluation survey assessing educational quality, personal benefit/improved patient care, meeting course expectations, faculty expertise, and course completion time was completed. Data were collected 2012-2013 and analyzed in 2013-2014. Results: Evaluation results indicate the online format and content were well-received, easily implemented, met learners’ expectations, and completed in a manageable timeframe (N=436). Participants evidenced positive pre-post changes in attitudes toward environmental health issues, taking an environmental health history, and confidence in conducting an environmental health history (N=478; P < .007). Positive changes were maintained at follow-up for attitudes and confidence (N=344; P < .001); however reductions in some history taking barriers were not maintained. Conclusion: An online curriculum is a promising method for delivering a foundational environmental health education course to diverse healthcare professionals. Further study is needed to assess best methods for translation of the curriculum into effective clinical practice and improved patient outcomes. A healthy environment is integral to human health. Yet, despite recommendations by the Institute of Medicine for clinical competence in environmental medicine for physicians , few trainees or clinicians receive education about environmental exposures . This results in repeated missed opportunities to practice effective preventive counseling. A 2002 survey of 266 pediatricians showed that although 53% reported caring for a patient affected by environmental medicine exposures, fewer than 1 in 5 had received training in environmental history taking . A survey of 301 New York pediatricians found that only 1 in 5 respondents had received training in environmental history taking . A sense of urgency about environmental health education is mounting in obstetrics and gynecology, where a 2014 survey of 2,514 obstetricians examining attitudes, beliefs, and practices showed that 78% agreed they could reduce patient exposures by effectively counseling patients, but fewer than 50% reported routine inquiry about exposures to common environmental exposures in pregnant women. Only 1 in 15 surveyed reported receiving environmental health training . Another stimulus for environmental health education is consumer demand for reliable information and medical advice. This has been galvanized by public outcry about the presence of endocrine disrupting chemicals, such as bisphenol-A in foods [6,7], inorganic arsenic in rice  and links between glyphosate and cancer . Studies linking environmental exposures to disease reinforce the need for clinician education. Examples include poor air quality and inflammatory cardiovascular disease [10,11], endocrine disrupting chemicals and reproductive health abnormalities [12,13]. This point is acute when considering the developing fetus, where an asymptomatic pregnant mother may be unaware of significant exposure to the developing child, as in the case of methyl mercury . Occupational medicine and pediatrics have achieved inroads into teaching trainees about environmental health. For example, the American Academy of Pediatrics (AAP) has focused on environmental health for decades as reflected in publication of Pediatric Environmental Health, 3rd Edition , and growth of the AAP Council on Environmental Health . • Development of a global network of Pediatric Environmental Health Specialty Units (PEHSU) (in conjunction with the US Centers for Disease Control and Prevention (CDC)/Agency for Toxic Substances and Disease Registry). Demand for environmental health education and training is growing in obstetrics and gynecology. Research on the impact of environmental exposures prior to conception and during fetal development is raising alarm, driving development of tools for preventive counseling [5,14,17,18]. In 2013 the American College of Obstetrics and Gynecologists (ACOG) and the American Society for Reproductive Medicine (ASRM) issued a joint opinion statement concluding the link between exposure to toxic environmental agents and adverse reproductive and developmental health outcomes was sufficiently robust to merit coordinated advocacy and policy efforts. The statement urges members and organizations such as the EPA to increase awareness on a broader scale and take concrete steps to identify and limit environmental exposures . The Scientific Advisory Committee of the Royal College of Obstetricians and Gynaecologists published a Scientific Impact Paper in 2013 calling for adoption of a precautionary principle approach in areas lacking data . Healthcare workers need accurate information to provide effective counseling. Challenges identified regarding incorporation of environmental health information into clinical practice include low sense of self-efficacy regarding patient education, lack of familiarity with environmental topics and resources [3,21], lack of evidence-based guidelines, need for tools to communicate risks to patients, and fear of causing patients anxiety about potentially unavoidable exposures . To address these gaps in medical training and evaluate the usefulness of online education in environmental health, a 6- hour online course, Environmental Health: An Integrative Approach, was developed for healthcare providers by the University of Arizona Center for Integrative Medicine (AzCIM). AzCIM has extensive experience developing, providing, and evaluating online medical education to fellows and residents [22-25]. The course is incorporated into residency and fellowship training programs at AzCIM and offered free to the public. Through these channels the course has been distributed to more than 2,000 medical trainees and accessed by 2,863 members of the public since 2012. The purpose of this paper is to describe the online course and its embedded evaluation, and to report findings about its impact on medical knowledge, attitudes, and sense of selfefficacy in addressing environmental exposures and human health. Environmental health: An Integrative Approach is a 6-hour online course designed to train clinicians to recognize, assess, and (when possible) prevent environmental health exposures. There are eight modules: 1) Introduction to Environmental Health; 2) Taking an Environmental Medicine History; 3) From Environment to Exam Room; 4) Toxicants in Air; 5) Land; 6) Water; 7) Patient Waiting Room; and 8) Emerging Research. Didactic information is delivered through narrative text, video lectures, clinical algorithms, and multiple-choice questions. Interactive case studies engage the learner. Links to references and patient handouts are embedded. Course learning objectives are listed in Table 1. The University of Arizona Institutional Review Board (IRB) approved the study (Protocol #11-0873-00). Change in medical knowledge, beliefs, attitudes toward environmental health issues, and confidence in skills were examined to evaluate the effectiveness of the course. Measures were completed prior to starting the course, upon course completion, and at a 30-day follow-up. Participants received CE/CME credit for study participation. Participants completed a post-course evaluation survey. We conducted descriptive analyses to examine difference in the prevalence of tobacco use behaviors between production and non-production workers. Multivariate logistic regression analysis was used to assess the association of each participant characteristic with current smoking and smokeless tobacco use compared to no tobacco use, and with past tobacco use compared to current tobacco use, controlling for age, gender and education. We classified current tobacco users as workers who reported either currently smoking or using smokeless forms of tobacco during last 30 days. SPSS version 20.0 was used to conduct data analysis. Associations between predictor variables and outcomes are reported as odds ratios (ORs) along with 95% confidence intervals (CIs). 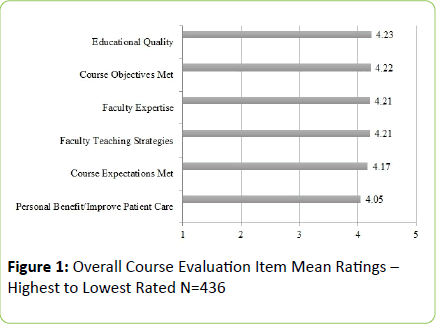 Course evaluation survey: Participants rated the course objectives and overall educational quality, course objectives and expectations, faculty teaching strategies and expertise and personal benefit/improved patient care on a 5-point scale from poor to excellent. Time to complete the course was assessed. Medical knowledge: A 16-item environmental health medical knowledge test was developed based on the course content. Environmental concern: A 16-item scale assessed perceived seriousness of environmental issues, including water quality, air pollution, and genetically modified foods . Items are rated on a 5-point scale from not at all serious to very serious. The total score is the mean of the items. Beliefs About Importance of Environmental Health: Four items measure the importance of assessing environmental issues with patients: the role of environmental health in patients, assessing environmental exposures, magnitude of patients’ environmental-related illnesses, and amount of control clinicians have over environmental health exposures. Items are rated on a 5-point scale. Higher ratings indicate a stronger belief . Attitudes toward Conducting an Environmental Health History: Two items assess belief in the value of taking an environmental health history. Three items assess barriers to conducting an environmental health history. Items are rated on a 5-point scale from strongly disagree to strongly agree . Confidence in environmental health skills: Two items assess confidence that conducting an environmental health history would help prevent exposures and identify exposures causing symptoms. Items are rated on a 5-point scale from not at all confident to very strongly confident . Results are presented for the sample description, completion, and course evaluation survey items. Paired t-tests were conducted to examine pre-posttest changes in medical knowledge, environmental concern, beliefs, attitudes and confidence variables. Repeated measures general linear models (GLM) were conducted to examine pretest, posttest and follow-up changes. Pairwise comparisons utilizing Bonferroni adjustments were conducted on significant models. Data was analyzed in 2014. The course was available between February 1, 2012 and October 31, 2013. During that time 1,198 individuals registered for the course, 8 withdrew and 1,033 were consented. Of the consented participants 926 completed the pretest (89.6%). Over half completed the posttest (n=478; 51.6%) and 344 (37.1%) completed the 30-day follow-up. Of those completing the follow-up, 283 (82.3%) claimed CME (n=235) or CE (n=48) credit. Most course participants completing the pretest were female (n=740; 80.2%). The average age was 44 years, ranging from 19-80 years old. Participants were physicians (n=354; 38.3%), nursing professionals (n=190; 20.5%), nurse practitioners (n=98; 10.6%), residents (n=40; 4.3%), physician assistants (n=38; 4.1%), medical students (n=31; 3.3%), and other health professionals (n=174; 18.8%). Other health professions included chiropractors, acupuncturists, behavioral health professionals, health coaches, nutritionists, physical and occupational therapists, and educational faculty, among others. Almost half were in private practice settings (n=445; 48.3%). Course evaluations were completed by 436 participants. Course objectives were rated highly. Means ranged from 4.06-4.37 on a 5-point scale with an average of 4.22 for the 8 objectives (Table 1). The most highly-rated course objective was “identify several resources for patients and clinicians interested in environmental advocacy.” The item with the lowest rating was “assess the impact of some of the emerging technologies and agricultural practices on environmental medicine and how they are affecting human health.” Course evaluation components were also highly rated, ranging from 4.05 to 4.23. “Educational quality” received the highest rating, while “personal benefit/improve patient care” received the lowest rating (Figure 1). The most frequently cited time to complete the course was 4-6 hours (n=142; 32.8%), followed by 7-9 hours (n=104; 24%). Two-thirds of the sample (n=293; 67.7%) completed the course in 9 hours or less. The environmental medicine knowledge posttest was completed by 461 participants. Scores increased from 66.3% correct at pretest to 81.3% correct at posttest (t (460)=-23.4; p<0.001). The follow-up medical knowledge test was not available for many participants due to a technological error. However, 96 participants did have access to it. The overall change in medical knowledge was significant (F (2, 94)=87.9; p<0.001). The posttest (82.8%) and follow-up (81.2%) were significantly higher than the pretest (65.2%) (p<0.001). There was no significant difference between the posttest and followup, suggesting maintenance of knowledge improvement. Environmental concern, or the perceived seriousness in which various environmental threats are viewed, increased significantly at posttest (N=474; Mean ± SD: 4.02 ± 0.6 vs. 4.16 ± 0.6; t (474)=-7.8; p<0.001). The overall change was significant at follow-up (F (2, 340)=26.30; p<0.001). Both the posttest and follow-up were significantly higher than the pretest (Mean ± SD: pretest 3.98 ± 0.6 vs. posttest 4.13 ± 0.6; vs. follow-up 4.11 ± 0.6; p<0.001). Lack of significance between the posttest and follow-up indicates maintenance of improvement. Beliefs about importance of environmental health: All four items assessing beliefs about the importance of environmental health issues increased significantly at posttest (p<0.001; Table 2). At follow-up, 3 of the 4 items assessing beliefs about the importance of environmental health issues (assessing environmental exposure, magnitude of environmental-related illness, and amount of clinician control) showed a similar significant pattern. The posttest and follow-up were significantly greater than the pretest (p<0.001), with no significant difference between posttest and follow-up, suggesting maintenance of improvement. For the item assessing the importance of the role of environmental health on patients, the posttest was higher than the pretest (p=0.004); however the difference between the pretest and follow-up was not significant, indicating a return to baseline (Table 3). Table 2: Pre-post Changes in Beliefs, Attitudes, and Confidence in Skills – Means and Standard Deviations. Attitudes toward conducting an environmental health history: Belief in Value. Both items assessing belief in the value of conducting an environmental health history improved significantly from pretest to posttest (p<0.001; Table 2). In the follow-up analyses the posttest and follow-up were significantly higher than the pretest (p<=0.001; Table 3), with no significant difference between the posttest and follow-up indicating maintenance of improvement. Item N Pretest Posttest Follow-up F (df) Sig. Belief in Value: Conducting an environmental health history on my patients would…. Barriers: Conducting an environmental health history on my patients would…. Table 3: Pre-post-Follow-up Changes in Beliefs, Attitudes, and Confidence in Skills – Means and Standard Deviations. Attitudes toward conducting an environmental health history: Barriers. The three items assessing logistical barriers to conducting an environmental health history decreased at posttest indicating a reduction in perceived barriers (Table 2). In the follow-up analyses, adding more work was lower at follow-up than pretest only (p=0.003). For environmental health history taking too much time, the posttest was significantly lower than the pretest only (p=0.012), indicating an initial decrease in this barrier followed by a return to baseline. For the item concerning creating a reimbursement problem, none of the post hoc comparisons were significant (Table 3). Confidence in environmental health skills: Two items assessed confidence in conducting an environmental health history. Both items increased significantly from pretest to posttest (p<0.001; Table 3). At the follow-up, the posttest and follow-up were significantly higher than the pretest (p<0.001). There was no difference between the posttest and follow-up, indicating maintenance of improvement (Table 3). • The Pediatric Environmental Health Toolkit developed by Physicians for Social Responsibility and endorsed by the American Academy of Pediatrics . Work is underway in the field of obstetrics and gynecology to develop online educational resources. Inclusion of environmental health questions on resident training exams and board certification exams, faculty training programs, and continuing medical education requirements are additional steps that may be powerful catalysts for change . Development of educational resources and training programs in environmental health tailored for healthcare workers across the range of specialties is urgently needed. Our findings suggest that a 6-hour online course is a promising method for delivering environmental health education to a range of healthcare professionals. As indicated by the course evaluation, course content and online format were well-received, easy to implement, met learners’ expectations, and required a manageable time investment. More importantly, course participants evidenced positive changes in attitudes toward environmental health issues, the value of conducting an environmental health history, and confidence in their ability to conduct an environmental health history. This addresses some of the recurring barriers noted in prior studies. 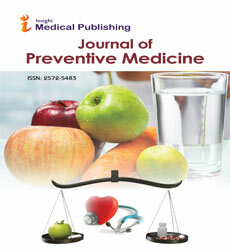 Although limited by the small follow-up sample, an increase in overall environmental medicine knowledge was also found. In addition, these changes were maintained at follow-up. Our findings affirm perceived challenges reported in the literature relating to implementing environmental assessment and counseling in the clinical setting. Initial reductions in two barriers, “takes too much time” and “creating a reimbursement problem” were encouraging, but were not maintained at follow-up. The barrier concerning taking an environmental history “adding more work” did remain lower at follow-up. The study had three primary limitations. A technical issue resulted in follow-up medical knowledge data being available for only approximately one-third of participants. This omission was identified and remediated, however does reflect a gap in our data. Second, participants were a self-selected group and therefore their experience may not be typical of healthcare providers at large. Finally, information about how and if participants planned to implement the educational material in the clinical setting is lacking, as are outcome measures to assess impact on patient care. Clinical implementation of environmental health recommendations is a commonly identified obstacle in this emerging field. Components of this challenge include determining best practices, addressing behavior change, unknowns about tolerable exposure levels, and accurate identification of toxins . Strategies to help practitioners implement recommendations should be addressed and strengthened in ongoing work. An urgent need for the rapid development of educational tools for healthcare practitioners is underscored by calls from leading medical organizations such as the American Academy of Pediatrics, the American College of Obstetrics and Gynecologists, and the Royal College of Obstetrics and Gynecologists for environmental health training, advocacy, and adoption of the precautionary principle with regards to toxicants in our environment. Positive reviews and high acceptance of the course Environmental Health: An Integrative Approach, along with positive changes in attitudes, beliefs, confidence, and medical knowledge, indicate that continuing education using an online course may serve as an effective and efficient approach to teaching clinicians foundational topics in environmental health. Further study is needed to assess curriculum content, best methods for clinical implementation, and to determine the impact of clinician training on patient outcomes. Healthcare system issues such as time and fair reimbursement need to be addressed within the larger system of care. In conclusion, healthcare practitioners have the potential to be powerful change agents in the arena of environmental health yet few are adequately prepared for this role. Surveyed US obstetricians and pediatricians cited lack of time, training, and absence of effective tools to facilitate preventive counseling. This points to a lack of resources tailored to their needs. Educational programs that are able to keep pace with emerging science, promote best practices for clinical implementation, and provide evidence-based recommendations for prevention across medical specialties are essential to help practitioners leverage their professional training and increase their impact in policy, advocacy, and clinical care. It is incumbent upon healthcare professionals to respond to the emerging environmental research, demand reduction in environmental pollutants, and become vocal advocates for patients and their families. The work presented here was supported by donations from the Blackstone Ranch Institute and The Onota Foundation. The work presented here was supported by donations from the Blackstone Ranch Institute and The Onota Foundation. The study funders had no role in the study design; collection, analysis, and interpretation of data; writing the report; and the decision to submit the report for publication. Hilary McClafferty, MD, FAAP, has no financial disclosures. Audrey J Brooks, PhD, has no financial disclosures. Sally Dodds, PhD, has no financial disclosures. Victoria Maizes, MD, has no financial disclosures. The American Academy of Pediatrics Council on Environmental Health. (2015) Accessed April 20. The Children’s Environmental Health Network. (2015) Accessed April 20. Physicians for Social Responsibility. (2015) Pediatric Environmental Health Toolkit.Accessed July 10.